​Liverpool kept up their pursuit of Manchester City at the top of the Premier League table with an impressive 2-0 win over Chelsea on Sunday evening. Sadio Mane got the ball rolling with a header just after the interval and Mohamed Salah doubled the Reds' lead with a mesmerising long-range strike, which left Kepa Arrizabalaga grasping at thin air in the Chelsea goal. Eden Hazard threatened to drag the visitors back into the clash, but Jurgen Klopp's side held firm to secure a vital win. The win propels ​Liverpool back ahead of ​City in the Premier League table, at least for the time being as the Citizens still have a game in hand over their title rivals. The star of the show on Sunday was undoubtedly ​Salah, and his goal confirmed his return to form after a frustrating few months which saw him struggle to reach the lofty heights he previously set in a Liverpool shirt. He's now on 22 goals in all competitions for this season and, as revealed by this stat from ​Opta, his goal scoring exploits since returning to England in 2017 have been nothing short of breathtaking. GOOOOOOOOOAAAAAAAALLLLLLLL!!!!! Mo Salah fires in an absolute screamer into the top corner and Kepa had no chance! Since the start of last season, Liverpool’s Mohamed Salah has scored more goals in all competitions than any other Premier League player (66). 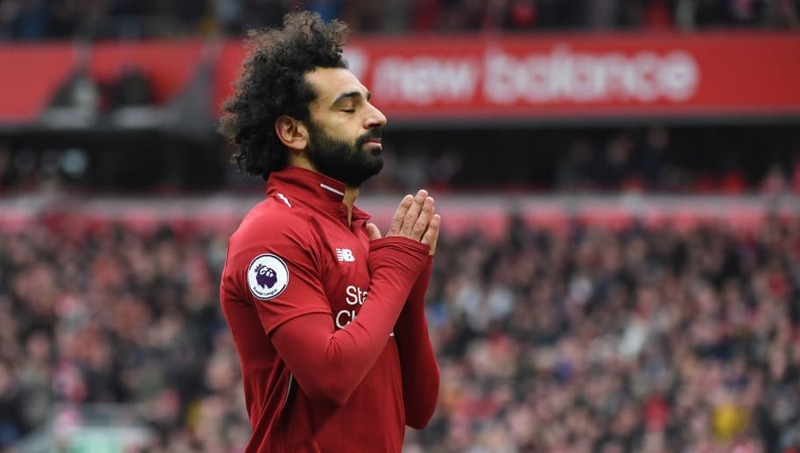 It surely dispels the notion that Salah is a one-season wonder and will ease the pressure that was clearly starting to take a toll on the Egyptian. Liverpool will be hoping that he can produce the same level of performance right up until the end of the season, starting on Wednesday when the Reds travel to face off against Porto in the second leg of their Champions League quarter-final. It remains to be seen whether Klopp will opt to tinker with the Reds' usual starting XI, but expect Salah to have an impact if he does feature.